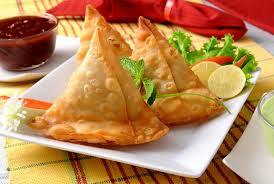 True Indian delight pastry filled with potatoes, peas & authentic spices (2 pieces). Vegetables dipped in chick pea batter and deep fried. Home made wrapper filled with stir fried vegetables, served with plain sauce (6 pieces). Mushrooms marinated in traditional spices & grilled in clay oven. Tender cottage cheese cubes marinated in traditional spices and cooked in clay oven. Tender chicken filets marinated in traditional herbs and spices and grilled in clay oven. Lamb mince and fresh coriander with a touch of garlic, ginger and lemon, grilled in tandoor. Marinated with yoghurt & vinegar giving royal Flavor of cumin & pepper (4pieces). Chicken marinated in yoghurt and spices and cooked in clay oven. Succulent king prawns marinated in garlic, white papper and lemon juice, grilled in tandoor. Delicious fried traditional north indian dish chef specialty. Combination of samosa, vegetable pakora & spring rolls. Combination of seekh kebab, tandoori chicken, Chicken tikka and burra kebab. Garlic Naan & Cheese Naan served with Raita & Chutney. A very mild and aromatic creamy cashew nut based gravy season with vegetables. Garden vegetable & fresh cottage cheese cooked in creamy sauce with nuts. Mix vegetable cooked in a spinach sauce with herbs & spices. A combination of peas and mushroom cooked in a mild sauce. Potatoes in a sauce with aromatic spices. Vegetable made into balls stuffed with Nuts simmered in herb sauce and finished with cream. Vegetable balls, filled with nuts, simmered in a spinach based sauce. A combination of spinach and home made cottage cheese cooked with fresh tomatoes and mild spices. Distinctive culinary style cooking form south India. 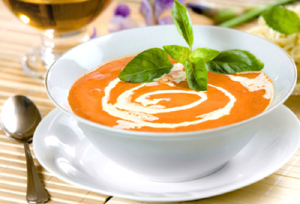 Home made cottage cheese pieces simmered in a mild sauce of Tomatoes and fenugreek with a dash of cream. Combination of home made cottage cheese and peas cooked in a traditional sauce. Cottage cheese pieces & mushrooms simmered in a tangy sauce. Dish dry in nature with aroma given by ginger & curry leaves. Combination of home made cheese with mild sauce flavored with unique spices and a touch of cream. Very flavorful oven roast eggplants mashed with spring onion and tomatoes. Lentils slowly simmered with ground spices and Sauteed with onion and tomatoes. Lentils tempered with fresh onion, tomato & ginger. Garnished with Coriander. 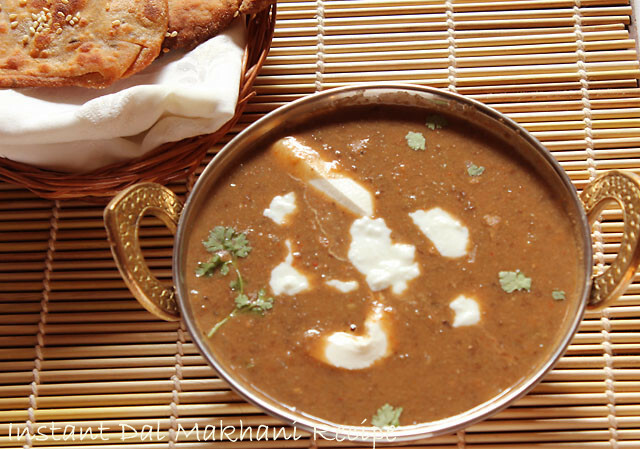 Popular Indian vegetarian dish consisting of Red kidney beans in thick gravy with many Indian whole spices. A combination of yellow lentils and spinach tempered with fresh onion, tomatoes and ginger. KORMA: A very mild aromatic creamy cashew nut based gravy. 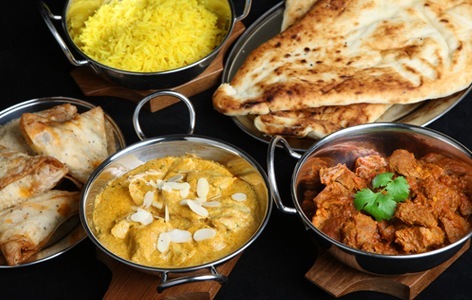 VINDALOO: Spicy East Indian speciality. A "GOAN" medium to hot curry. KADAI: Dish dry in nature with aroma given by ginger & curry leaves. SAAGWALA: Cooked coarsely from ground English spinach, pan-fried with spices. SHAHI: A mild Sauce flavoured with unique spices and a touch of cream. MUGHLAI: A mild Sauce flavoured with unique spices and a touch of cream. 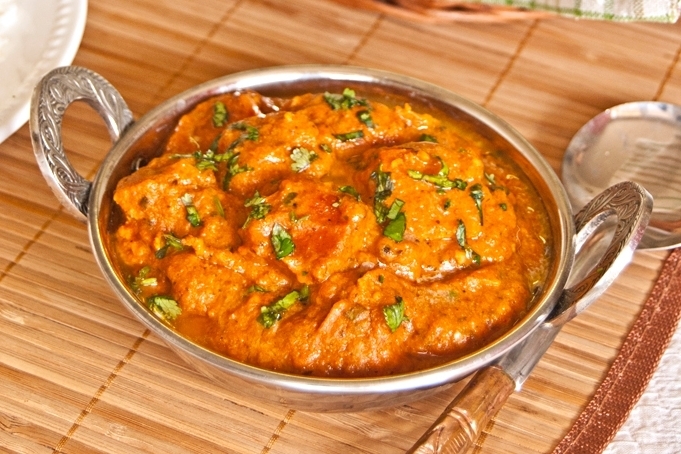 Succulent chicken pieces grilled in tandoor, simmered in a mild sauce of tomatoes and fenugreek with a dash of cream. A traditional style lamb curry prepared in herbs and spices , cooked in traditional sauce. Grilled chicken tikka pieces sauteed with onions, tomatoes , capsicum and coriander. Classic balance of mint coriander with chef�s special spices. Distinctive cuillnary style cooking from south India. 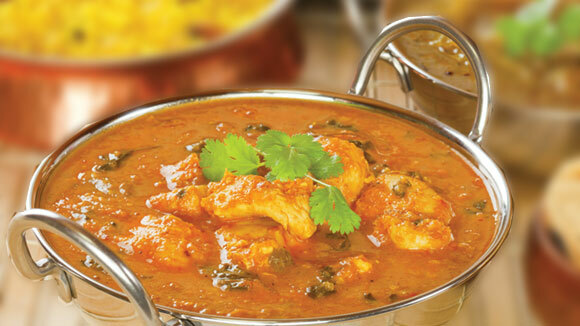 Nice combination of mango and chicken in a curry with traditional spices. Tender lamb pieces in a sauce prepared with lamb mince. Prawns cooked in a creamy garlic based sauce with onions, tomatoes, capsicum & mushrooms finished with green peppercorns. lamb mince & peas cooked in a sauce flavoured with aromatic spices. Fish curry, any seafood lover would vouch for. MADRAS SPECIALTY: Coconut based yummy south Indian curry. Finest Indian basmati rice garnish with coriander. Finest Indian basmati rice flavoured with Sultanas and saffron. Finest Indian basamati rice, with coconut & finished with curry leaves. Finest Indian basmati rice flavoured with cumin seeds. Basmati rice cooked with fresh vegetable and herbs. A blend of basmati rice nuts, coooked with Aromatic spices. 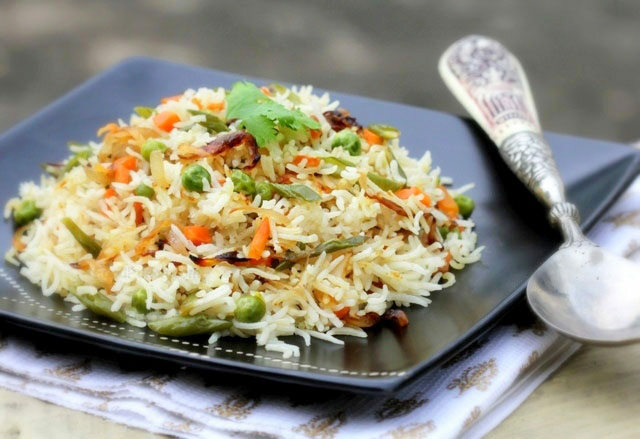 BIRYANI: Slow cooked rice with mild spices & flavored with herbs. Fluffy soft bread made from plain flour. Fluffy soft bread made from plain flour, Flavoured with garlic. Sweetbread with dry fruit & nuts. Soft bead with lamb minces filling. Plain flour bread stuffed with mashed potatoes & herbs. Naan bread stuffed with mozzarella & cottage cheese. Made from wholemeal wheat flour. Layered Wholemeal bread prepared in clay oven. Flaky bread made form whole meal wheat flour flavoured with mint. Home made yoghurt with cucumber & flavoured with mild spices. Flavoured mixture of Tomatoes, onion and cucumber. Typical Indian Crackers, Roasted/Fried (4pcs). 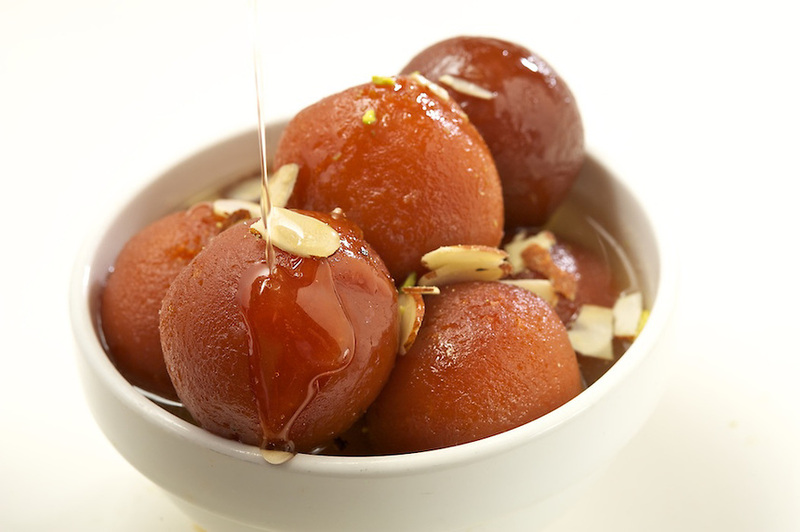 Indian version of warm donuts floating in a syrup. KULFI: Indian homemade Ice Cream. If You Would Like It Hotter Please Let Us Know. Cockage $ 1.00 Per Person. One Bill Per Table. Prices Inclusive of GST & Are Subject To Change Without Notice.